The hospital revenue cycle is undergoing dramatic change and becoming more complex every day, from increasing payer regulations, EMR conversions, patient consumerism, physician practice acquisitions, and patient experience. Health systems are learning to adapt without adding cost, by educating and training their staff to be engaged problem solvers. HEI has worked with health systems across the country to dramatically change and re-engineer their organizations to be successful in the future. Discover the HEI solution that is right for your organization. Meaningful change within organizations starts with an engaged problem-solving culture. It begins with process engineers engaging all levels of staff to re-engineer and design new processes to reduce waste, optimize current technology for prioritized workflows while eliminating workarounds and utilizing advanced data analysis to identify performance gaps and sustainably improve financial outcomes. MaineHealth is a not-for-profit, 11-hospital integrated healthcare system of leading providers and other organizations with net patient revenues of approximately $1.7 billion. Ranked among the nation’s top 100 integrated healthcare delivery networks, MaineHealth has been named one of “America’s Best Hospitals”. As provider organizations continue to transition from fee-for-service reimbursement to value-based care including population health initiatives, bundled payments, and risk-bearing contracts, the focus on financial performance has never been greater. An assessment of the revenue cycle, encompassing all operational components, is essential to understand where provider organizations are performing well and where opportunity remains. HEI’s Revenue Cycle training is a focused, hands-on, 5-day session, designed for revenue cycle team executives, directors, managers and team leaders. Request a sample curriculum today. Compared to top performers, how much additional money remains in the revenue cycle? Which areas are performing well, and which are not? Is the existing technology being utilized to its fullest capability? What are the savings associated with removing waste and inefficiencies from current operations by standardizing organizational structure, job functions, and processes? What is the organization’s overall quality of workmanship in the revenue cycle? Expectations for revenue cycle leaders are at all-time highs and leaders are being asked to do more with less every day. Increasing payer regulations, IT projects, EMR Conversions, unification, consolidation, turnover and staff fluctuations all continue to contribute to variable staff availability. Revenue cycle leaders need flexible staffing with visibility and accountability. HEI Health created Virtual Team Services™ (VTS) for this reason. 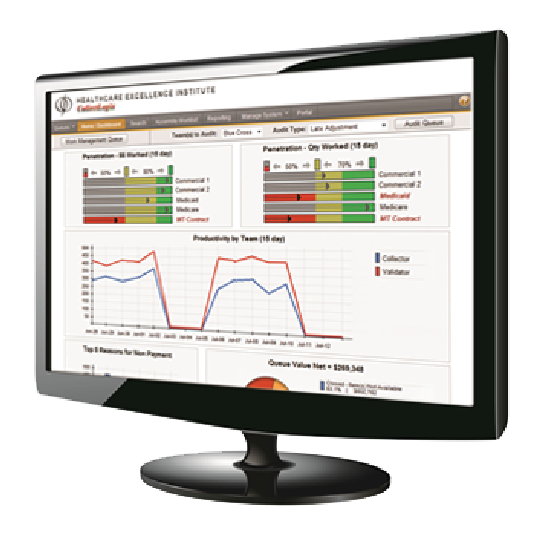 Unlike outsourcing, HEI’s VTS provides leaders with transparency, flexibility and control. Discover HEI Health’s Virtual Team Services solution today. In support of a revenue cycle transformation, HEI Health’s revenue cycle technology may be implemented to newly re-engineered processes. ScoreLogix enables healthcare leaders to identify lost revenue by payers, organizations, and providers. 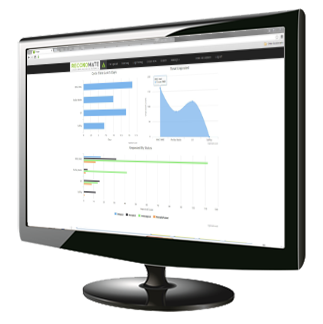 Analyze the revenue cycle performance across an entire organization, or by department to track revenue yield, net to cash conversion, cost to collect, and aging A/R. 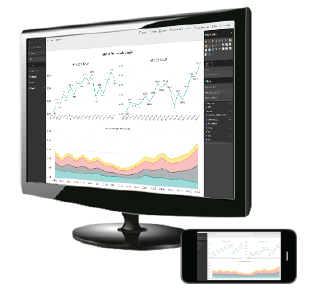 ScoreLogix offers mobile-friendly reporting with interactive data visualization and trend analysis. The unique CollectLogix 11-factor statistical algorithm is built for prioritizing all A/R 3rd party follow-up. With standardized job aids to improve collector performance, organizations have achieved an increase in business office productivity by as much as 40%, as well as a 20% decrease in A/R greater than 90 days. Discover how CollectLogix can help healthcare provider organizations reduce bad debt and increase monthly cash collections by 3%. Reconomate enables organizations to target financial quality outcomes, gain precise insight on A/R cash and avoid costly mistakes. Decrease unposted cash and begin posting 100% of cash within two days. Automatically route payable accounts to the right person at the right time to save time and money by reducing time-consuming payment matching and account sorting. With complex payer regulations and continuous pressure on budgets, getting healthcare claims paid can be challenging. That is why HEI Health has a full-service Extended Business Office that can take on projects from small to large, with rapid scalability.